On teenage DJ – Riece Of Jacks has just turned 14! Its only right that he bless you with a compilation of his own. 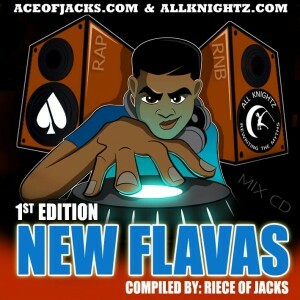 Download NEW FLAVAS 1st Edition for a selection on contemporary Rap & RNB mixed and compiled by Riece Of Jacks. Artwork by Wayne Riley of All Knightz Comics.